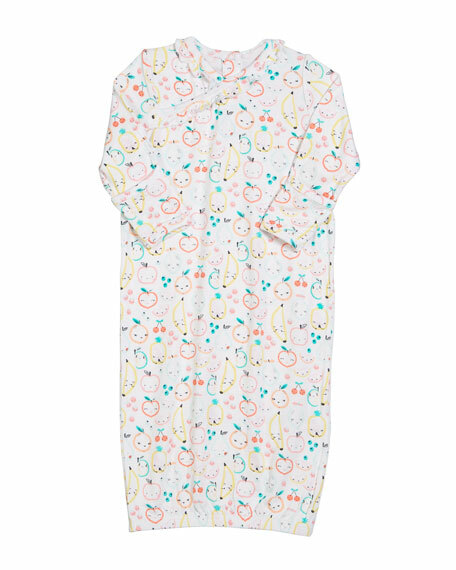 Angel Dear gown in allover fruit print. Surplice neckline with ruffle trim; snap placket back. For in-store inquiries, use sku #2558116. Exclusively ours. 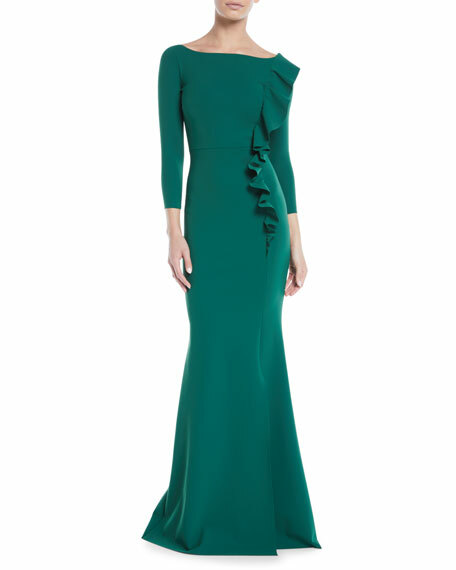 Chiara Boni La Petite Robe "Elisse" one-shoulder satin gown. 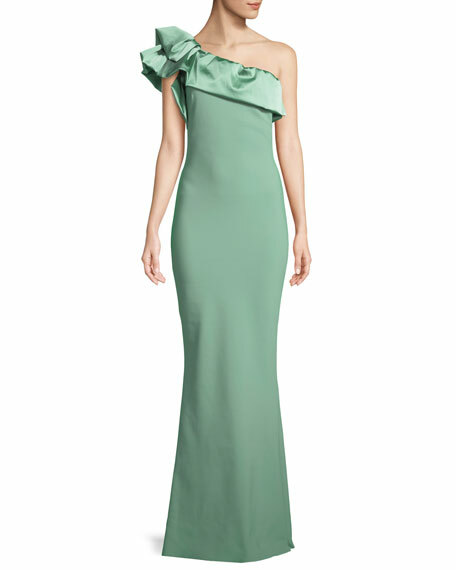 One-shoulder neckline; asymmetric satin detail. Sleeveless at left; right ruffle sleeve. Mermaid silhouette. Step-in style. Hem hits floor. Nylon/spandex. Made in Italy. Chiara Boni La Petite Robe "Elisir" gown with ruffled organza trim. Approx. 57"L down center back. Asymmetric one-shoulder neckline. Sleeveless; right organza strap. Raw-edge hem for ease of tailoring. Mermaid silhouette. 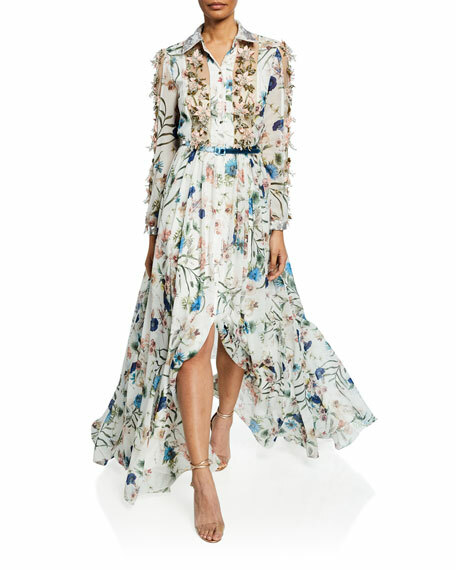 Floor-length hem. Step-in style. Nylon/spandex. Made in Italy.